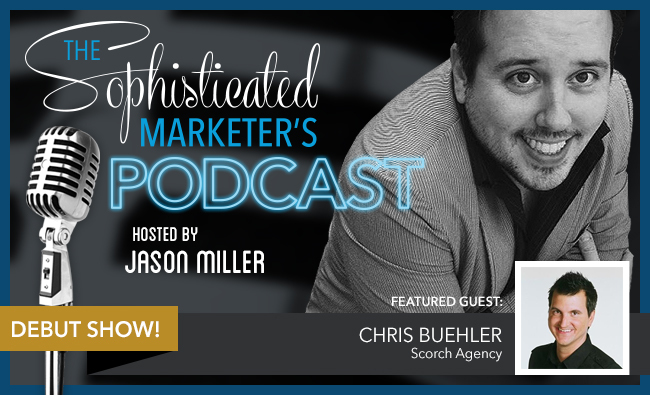 I’m excited to present the first episode of the Sophisticated Marketer’s Podcast, a new feature from LinkedIn Marketing Solutions. Every episode I’ll sit down with some of the brightest lights in marketing to talk about B2B marketing trends, best practices, and see if they have any embarrassing personal stories they’re willing to share. For this inaugural episode, I’m joined by my friend and colleague Chris Buehler, Founder and CEO of Scorch. Together we’ve conceptualized and created some seriously cool content for LinkedIn and others. You could say Chris is the Slash to my Axl, or the Nikki Sixx to my Vince Neil—though neither of us wear leather pants anymore. Chris’s eye-catching design and layout skills were a huge asset for our Sophisticated Marketer’s Guide eBook series. So when it was time to record the first episode of the podcast, Chris was a natural fit to join me on the mic. Together, we talk turkey (slices), influencer outreach, and discuss why inbound marketing is like hanging out with your high school friends. What’s our secret to a killer creative relationship? Check out the podcast to find out. 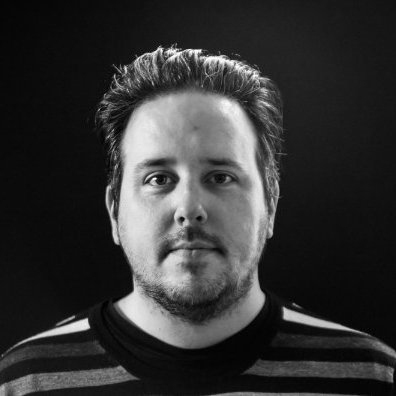 Content marketing before it was cool: Chris won an Addy in 2008 for a pamphlet called, “Grolsch: How to Swing.” Hear origin stories from our days pranking each other at rival music stores all the way to how we found ourselves in our current gigs. A B2C approach to B2B Marketing: When I worked at Marketo, I teamed up with Chris to produce Marketo’s Big Marketing Activity Coloring Book. When we pitched it to the higher-ups, the feedback was, “I don’t hate it.” Find out what made this lighthearted piece of content so incredibly successful. The Big Rock Theory: Get the most out of your content by thinking creatively about your existing assets. Find out why I recommend every marketer does a “content audit” for hidden gems. Bazinga! Going Native: Find out how strategic use of native and paid advertising can expand your following from your inbound-marketing clique. The Full Meal Deal: “Verticalize” your content and take it global with the Full Meal Deal (and upsize those turkey slices). Marketing is a rapidly evolving field. There’s a ton of valuable discussion out there for aspiring marketers, and I’m thrilled to add to the conversation. Download the first episode of the Sophisticated Marketer’s Podcast to learn along with us, and subscribe for a regular dose of marketing insight from thought leaders in the industry.